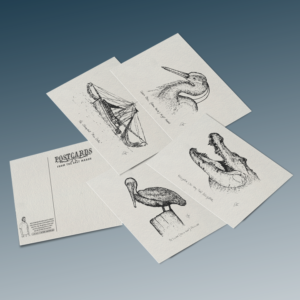 Each box set include 8 cards, 2 of each design. 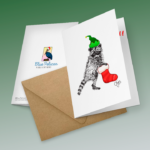 Inside message include a Cajun french Christmas-themed saying. As we celebrate the holiday season, why not spice it up and make it a Cajun Christmas! 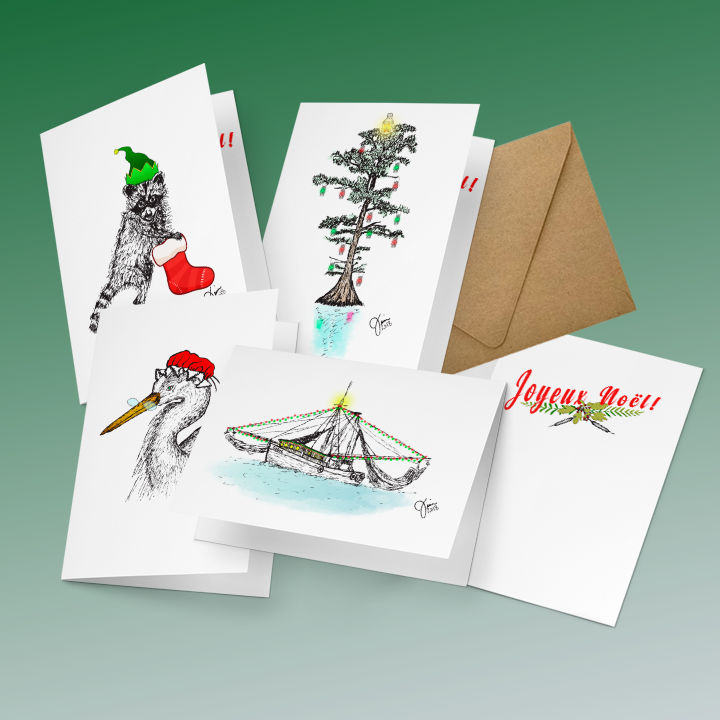 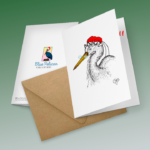 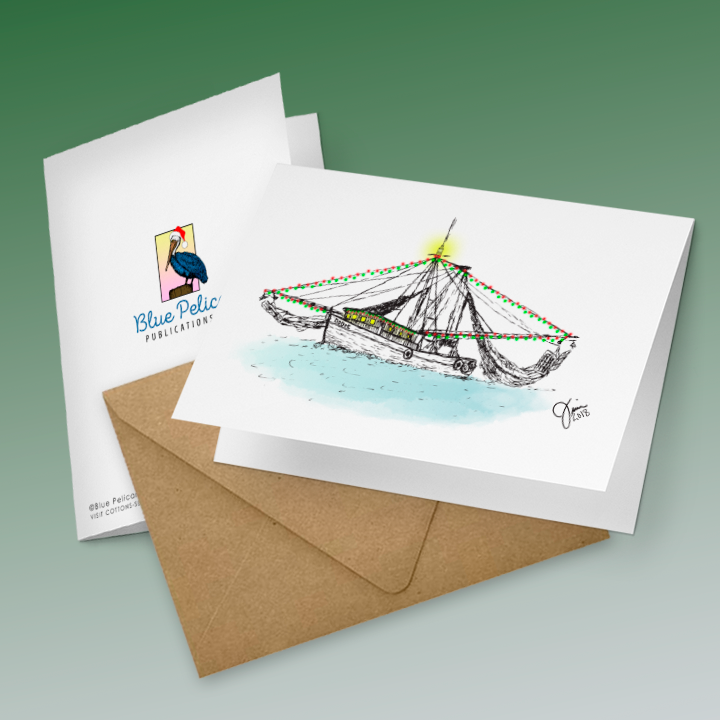 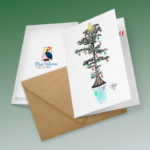 Includes 8 cards, 2 of each design, and 8 envelopes – all inside a lovely clear box.